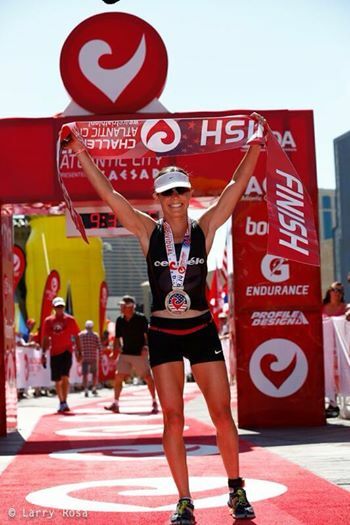 It is still a little hard for me to believe that I'm writing a race report about winning an ironman. I never doubted my ability to be successful at longer races, but I have learned that a lot of things have to come together in order for a race to be won. 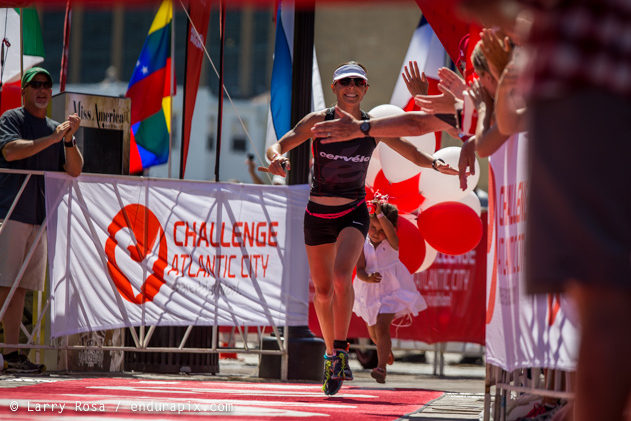 (see all of those 4ths and 5th places...) I had a great day at the Challenge Atlantic City race and I believe it was due to a combination of hard training, incredible supporters, and believing in myself. Oh, and a little luck - it was Atlantic City after all! I was very excited when the Challenge Family announced they were going to expand to North America. Their European races are legendary in the sport of triathlon. When they announced Atlantic City, NJ would host the race, I immediately decided to put it on my schedule. Traveling to exotic places to race is wonderful, but being able to race in front of family and fans from the New York, New Jersey and Maryland area is something I really value and enjoy much more. I am so grateful Challenge gave me the opportunity to win my first long distance race with my entire family (minus a sister) there to witness it. For me, racing is an opportunity to give back to my family, sponsors and fans who have supported me through my various ups and downs. 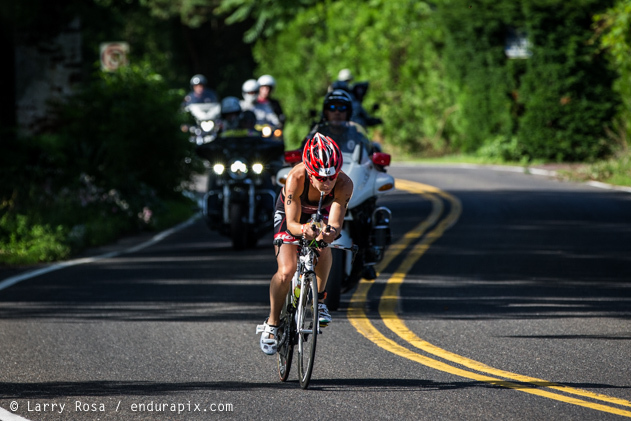 Yes, triathlon is my job, but it isn't about just collecting a paycheck and moving on. I am motivated to perform and put on a good show for my audience and I couldn't have had a better stage than the boardwalk of Atlantic City! Also, I am pretty sure I got a standing O! As I mentioned earlier a lot of hard work went into this victory. First of all, just getting to the start is a victory. 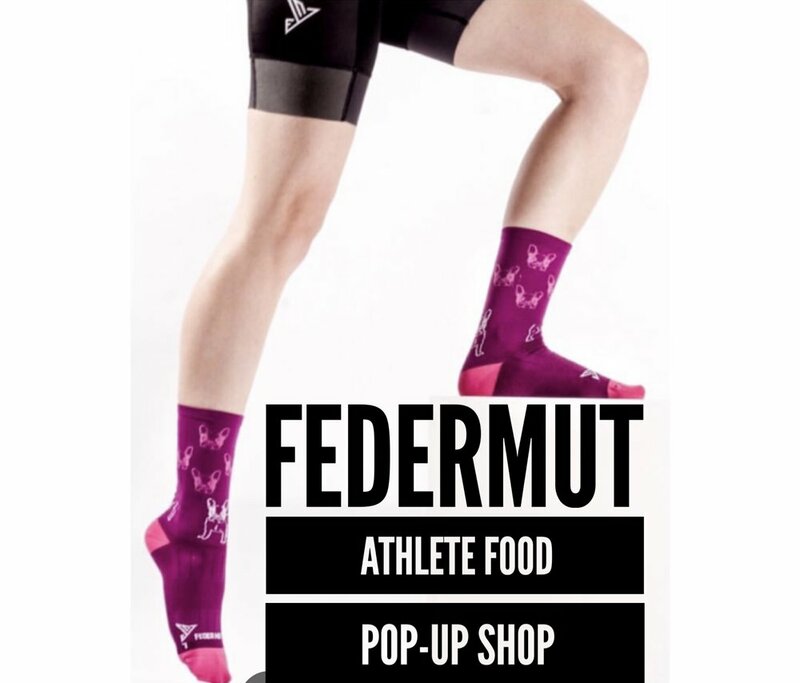 A lot of my competitors are coming down with injuries at this point in the year. The way our sport is set up we have to race a lot and collect points to qualify for championship races. I fell victim to it last year and ended up with a broken foot. This year my goal was to reduce the travel and the points chasing and make every race count. Despite this race not being my typical distance, it fit right in. Most people I told of my race plans thought I was crazy or vastly undertrained. I did so many long days on my bike in California and so many long hilly runs that I knew I was in much better shape than my last Ironman in NYC. I figured that if I could do that on much less training mileage then I'd be ok for Atlantic City. 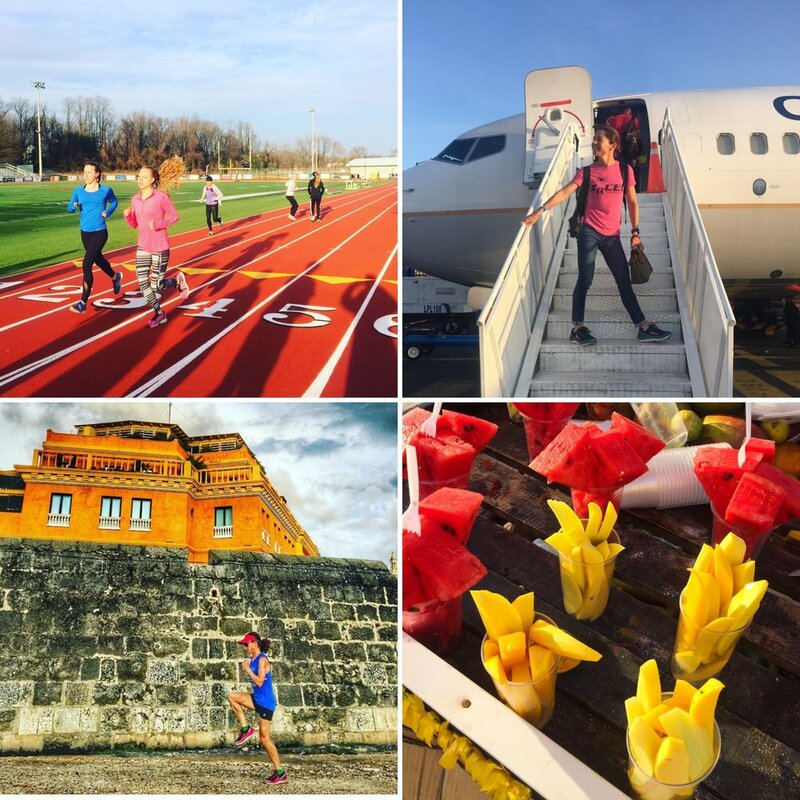 Two weeks before the race I did two key days with my sister and our training partner Megan Newcomer. A long, hilly ride in Catskills followed by a hard 6 mile run up a mountain and then down to 5:50 pace. Then the next morning a half marathon race where I descended my pace from 6:45 to 6:00. 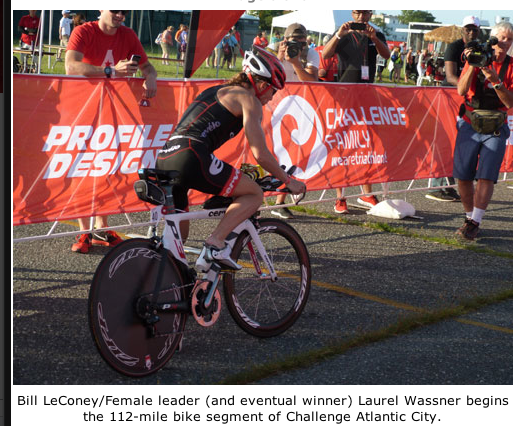 That confirmed to me that I could be in contention to win in Atlantic City and race with the best. However, the next day I woke up sick. Coughing, sore throat, doctor, etc. I raced in Philly and made sure not to tax myself too much. Then I rested as much as possible leading up to AC. I went back and forth all week as to whether I should race. One day yes, one day no, the next day of course I can't miss it! I decided to just stay positive, relaxed and go with it. I started the swim and felt great. I might have done a bit of extra swimming but still had 6 minute lead. I got on my bike and settled into a manageable pace. Bec and I decided that I should keep my heartrate below a certain number, a very conservative number, because I was sick. I needed to play it safe and just get to the run with energy and good legs. It was sort of frustratingly slow but I just passed the time by staying fueled and hydrated. I allowed myself a few moments of going a bit harder but otherwise stuck to my plan. I got caught by 2nd place Jacqui Gordon at 100 miles in. She pulled up next to me and was really working hard. It sort of brought me back into race mode and I allowed myself a few more watts and ended up coming into transition 30 seconds ahead. I stepped off my bike and had such wobbly legs! Fortunately it lasted only 4 steps. I changed into my running shorts and was amazed at how good my legs felt. I just ran like I know how and didn't even look at my pace. I loved running on the boardwalk and having constant spectator support. There were so many people encouraging me and so happy to see me winning. Even people who were running found the energy for kind words - thank you!! I ran with a smile for a solid 23 miles. Around then, the heat started to get to me (over 80 degrees and NO shade) and my pace slowed a bit but I was still loving it! I ended up with a 3:09 marathon and a time of 9:29. I think it leaves me with plenty of room for improvement but I'll take it!! A special bonus with this race was awarded to the male and female winners - a luxury trip to Bahrain to compete in a Challenge race there in December. So, it turned out to be a very good day! Three days later I am beginning to feel normal again and already planning my next longer race. Congratulations to everyone who raced and I hope you enjoyed the Challenge as much as I did. Thank you again for the cheers and for all of the support. My superfans are the best!! 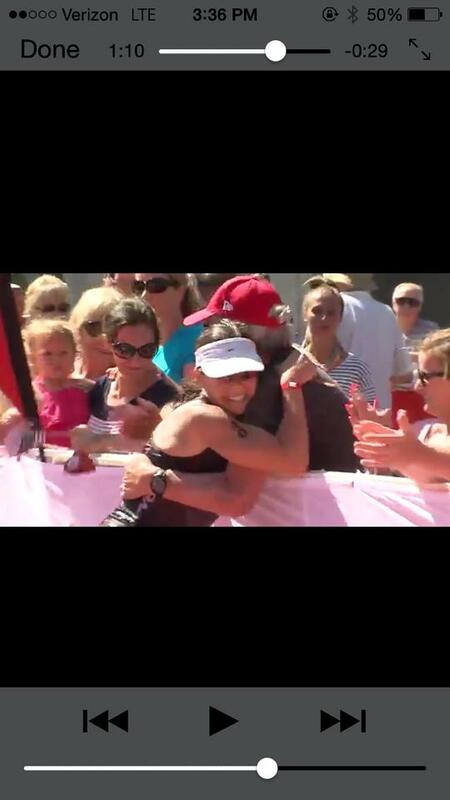 Thank you also to photographer Larry Rosa for capturing the moment so well at the finishline.